A key component to maintaining your sanity is knowing when you’re approaching your breaking point. 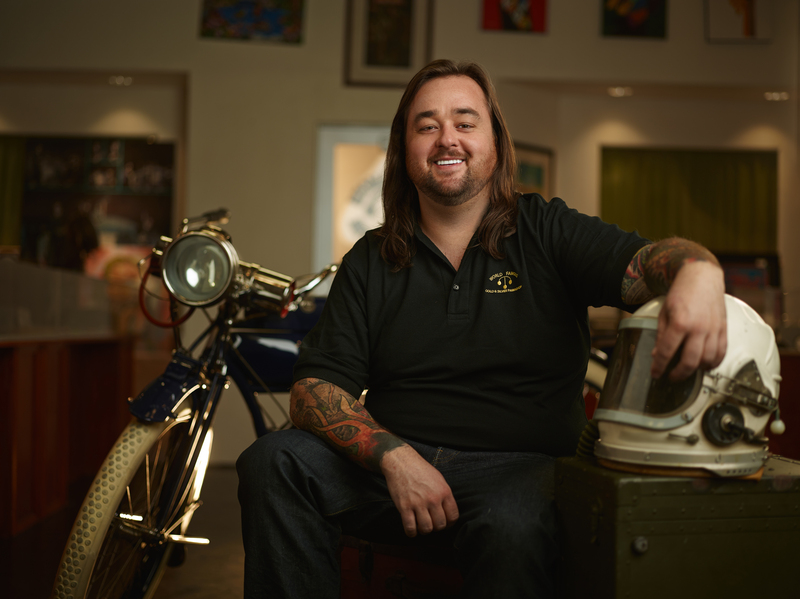 Get ahead of the meltdown by “pawning it off.” No, I don’t mean taking all of your stuff down to the Pawn Stars shop and selling it to Chum Lee. I’m referring to delegating tasks. The best managers do not make “to-do” lists. They make “not-to-do” lists. Delegating is not always easy, but while having a senior-level employee doing the work of an entry/mid-level employee may get you through a tight spot, it will not fuel ongoing company growth or maximize profitability. In a start-up environment, there is always a fire. There is always something that can pull management away from strategic growth and developing process efficiencies. I am like a broken record. (Most SoapBoxers have never had to endure the pain of the skipping record. Since I don’t want them to miss out, I fill that void.). Focus on the highest payoff tasks. Focus on the highest payoff tasks. Focus on the highest payoff tasks. Get it? I am always asking, is it crucial for YOU to do it or can someone else take care of it? By passing the torch, you are also allowing others an opportunity to learn something new. I was taught early on in my career that if I was always focused on training my successor, I would always move up – and so would they. This scares the crap out of some people. People are insecure. They are afraid someone may be better than them. They want to hold on to being the only one who can do something – people think THIS makes them valuable. It doesn’t. It just feeds ego and makes the company vulnerable. Pawning it off (correctly) can be one of your best tools. Your team will be stronger and you can focus on those high payoff tasks. Today’s BLOG is the last installment of the Sane September series. Hopefully you’ve found some of these tips and hints helpful, and are one step farther away from losing your sh*t.
If you would like to share any of your own ideas on maintaining your sanity while leading a startup, or running a business, tweet me @jax_rosales. As we head into that last month before the craziness of fourth quarter, we thought it would be fun to share some tips to Stay Sane in September. Last week we talked about beating office fatigue and taking breaks. This week we are focused on lightening up and living a little. You know, having fun? That think some people only do when they are not at work? Which of the following is an activity I have NOT done with my staff? Answer: C, Well not yet anyway. The robot-building contest goes down next month. Which of the following items would someone NOT find in the SoapBox office? Answer: This was a trick question; you can find all of this stuff in our office. Ha! So why do we do these seemingly-un-work-related things? And why is our office filled with weird stuff that has nothing to do with Market Research? Well, 1.) because I am a little nuts and 2.) because it makes us feel good. It’s fun. We want to be different. Being different doesn’t just boost creativity and help us see things in new ways, but from an outside viewpoint, it also allows our culture and brand personality to differentiate ourselves from our competition. Market Research can be a little stiff and traditional. Dare I say it is not the most exciting industry on the planet (shocking, I know). The SoapBox company culture is built on the premise of shaking things up, and offering something genuine and fresh; hence our tagline, Wanna Get Fresh?. The most exciting thing to me about being startup leader, is molding and shaping a company culture, and creating the type of company I’ve always wanted to work for. Who wouldn’t want to work for a mud running, Hoff loving, 5’3” maniac? Before robots take over the workplace, most of us still have to work with our fellow humans, whether we like it or not. Unlike robots, humans need help to stay motivated, focused, and sane. Occasionally, the things we do to keep ourselves sane at SoapBox may seem a little bizarre. Employees are allowed (encouraged) to participate in the seemingly ridiculous. Yes, at times it is disruptive and I am totally ok with that. Truthfully, I am typically the biggest the disruptor around. I personally believe that breaks and recreation (aka fun) lead to greater productivity and the kind of bonding that makes for great company culture (aka people like working here more than they don’t). Feel free to try out some of our antics. Or send us some of yours. We are always looking for new things. The staff, in particular, is always looking for new things that keep me from forcing them to participate in some sort of physical outdoor event. Monday has a tendency to be the most “sluggish” day out of the week. Everyone is back in their chairs, blowing the dust off of their keyboards and responding to all of the emails that they “missed” over the weekend. To get the Monday blood flowing, we have downloaded this app called Sworkit. This is how it works: every 30 seconds the instructor demonstrates a new stretching exercise and every 15 seconds we switch sides (if the exercise can be done to the right and left side.) Since the majority of us aren’t Olympic athletes, we stumble, fall over, and laugh at one another’s expense. One warning: if you want to institute this activity in your office, maybe warn the women not to wear skirts or heels that day. I draft more emails than the NFL does prospects and it would be extremely draining if my office resembled a mental prison. To stay sane, I love to keep art on the walls so that my brain can wonder off and absorb some creative vibes. They say seeing certain colors evokes different emotions — green for fresh thinking or blue for serenity. I would suggest avoiding heavy use of red, since it’s known to evoke aggression. My emails are offensive enough as it is. Even better than calming wall art are quirky desk statues. My friend Mendy made this sculpture of me (image at the top of the page) and it makes me smile every time I look at it. And when I’m smiling everyone has a better day. If you can feel your stress level rising and your patience wearing thin, TAKE A BREAK.This sounds like a no-brainer, but I constantly remind my staff and myself of this. Negativity has a way of spreading like a plague. Go to the conference room (if your office doesn’t have a conference room, use the restroom) and make a bunch of weird faces or do 20 jumping jacks. Let it out! And if anyone asks you if you also heard those weird noises coming from the conference room, just shrug casually. This is especially important for leaders who do not have day to day managers, or even those who have sucky mangers. If you happen to fall into this group, I am giving you permission. In fact, I am begging you to do this. Put a sticky note on your computer, add a reminder on your phone, write it on the wall. Whatever it takes. Trust me restraint of pen and tongue is going to be much more productive than trying to undo what you did when you were pissed off. Another great technique I observed is tearing up or shredding unneeded papers at your desk. Get rid of those old take-out menus and notes that you don’t need anymore. The act of ripping/shredding paper can relieve tons of bottled up energy. And in return, you’ll have a clear mind and a clean station to continue working. Practicing these tips can make you excited to come to work instead of dreading the thought of spending all day there. As a boss or as an employee, do yourself a favor and allow yourself to be human.